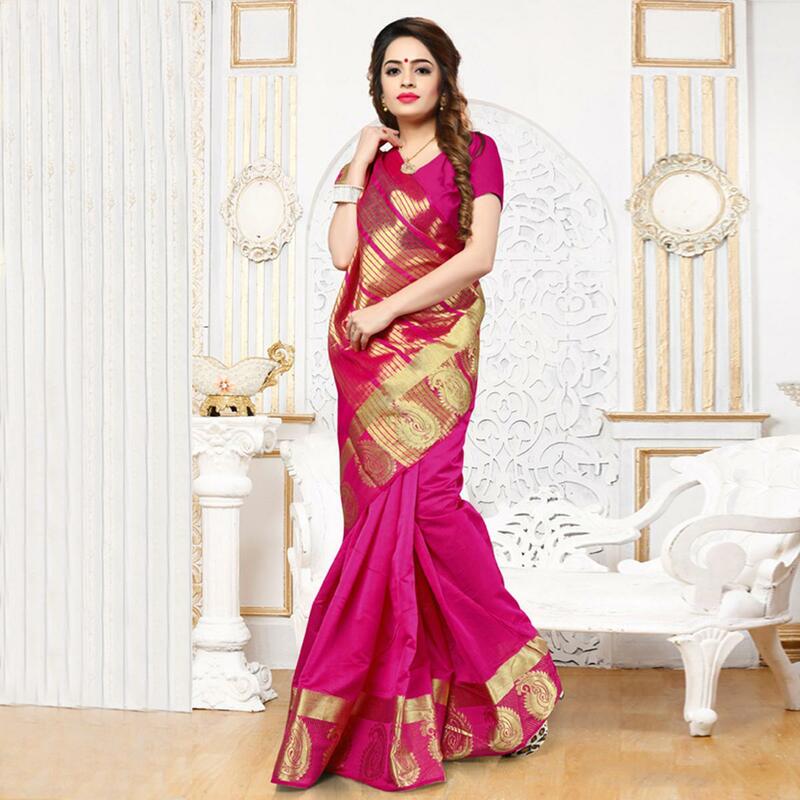 Look simply classy adorning this beautiful pink color saree made from polyester cotton silk fabric and highlighted with weaving work done in the form of traditional paisley motifs, solid horizontal panel and geometrical stripes. 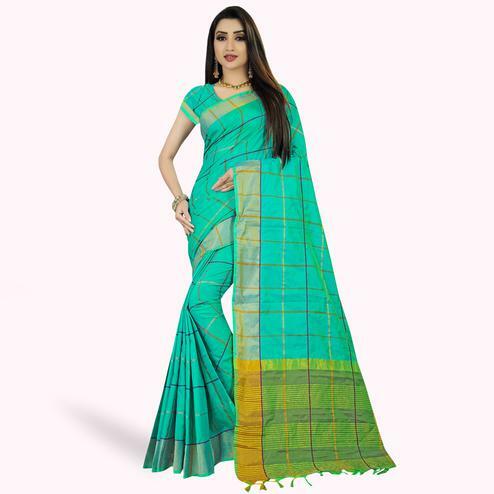 Available with matching fabric and color unstitched blouse piece. Suitable for small functions and occasions.